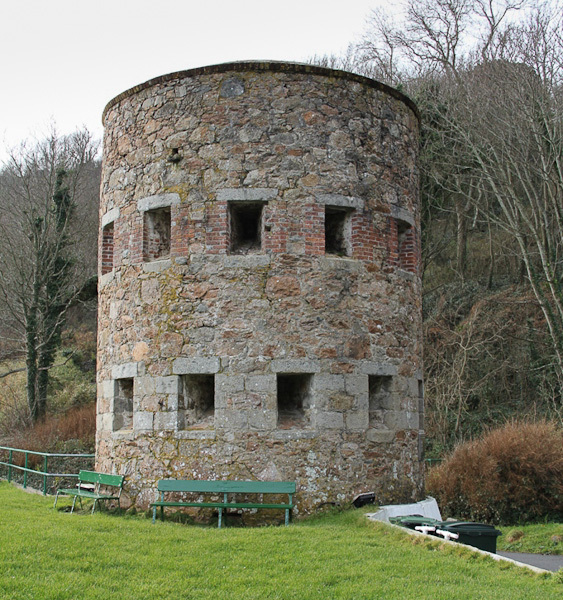 15 loophole towers were built around the island between 1778 and 1779 to protect some of the islands most vulnerable beaches from potential invasion. The towers are all of a standard design. They are 30 feet (9m) high and 20 feet (6m) in diameter. There are musket loopholes on two floors. 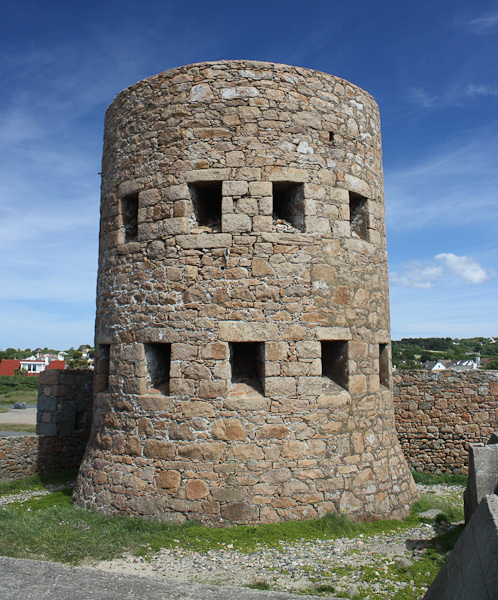 When first built this was the only way of defending the tower. 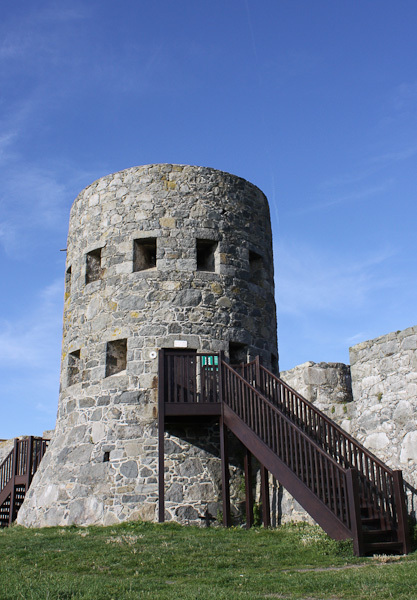 After 1803, General Doyle recommended the use of 12 pounder carronades mounted on the top of the towers. 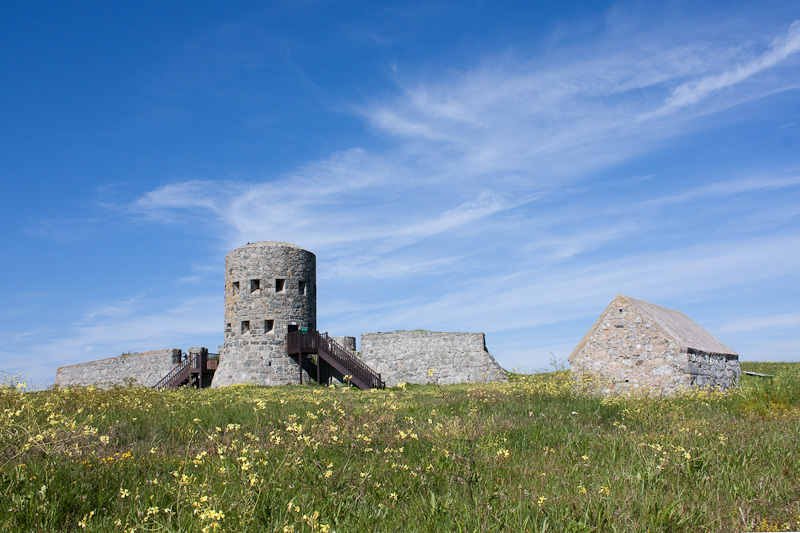 Digital versions of the site interpretation boards for several of the towers are available as downloads in PDF format at the bottom of this page. Loophole tower built to defend L'Ancresse Bay. 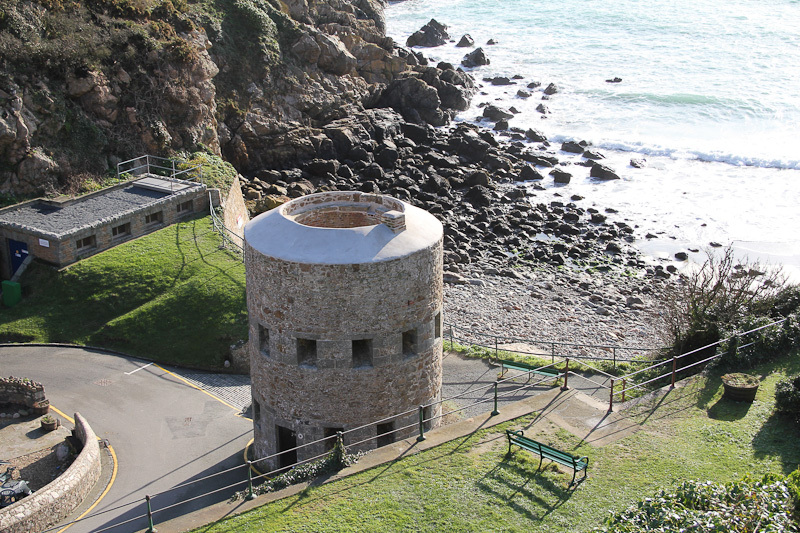 Accessible via footpath from Le Catelain or L'Ancresse Bay car parks. Parking: Public car park at Le Catelain and L'Ancresse Bay. 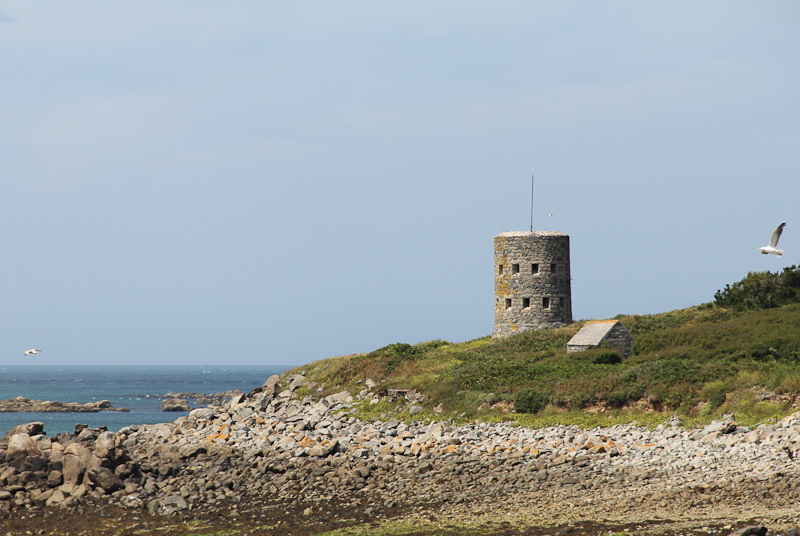 Napoleonic tower built to defend L'Ancresse Bay. Accessible via footpaths from L'Ancresse bay car park. Parking: Public car park at L'Ancresse Bay. Parking: Public car park at Chouet. Parking: Public car park at Rousse. Parking: Public car park at Vazon, adjacent to the tower. Parking: Public parking adjacent to the tower. Address: Saints Harbour Road, St Martin. Parking: Public car park at Saints Harbour.